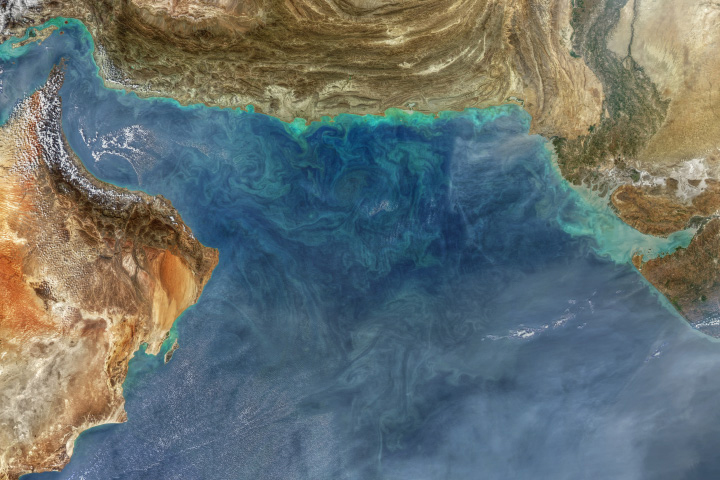 A colorful image of the Arabian Sea shows the various types of activities occurring in the waters. 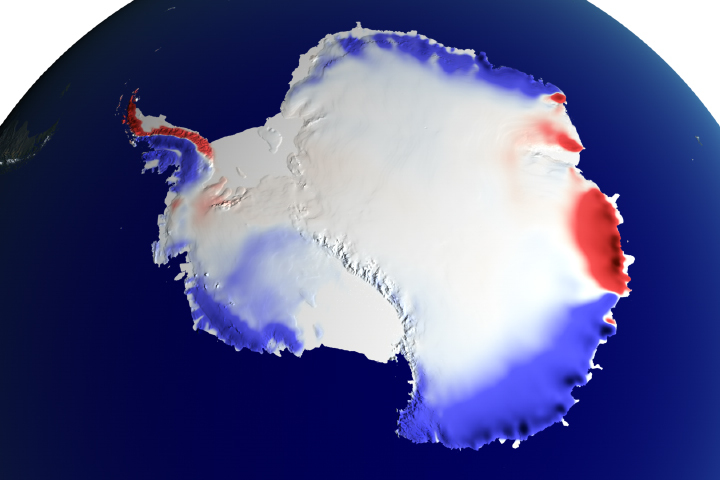 It snowed more, but the mass gained only compensates for some of the ice being lost in Antarctica. 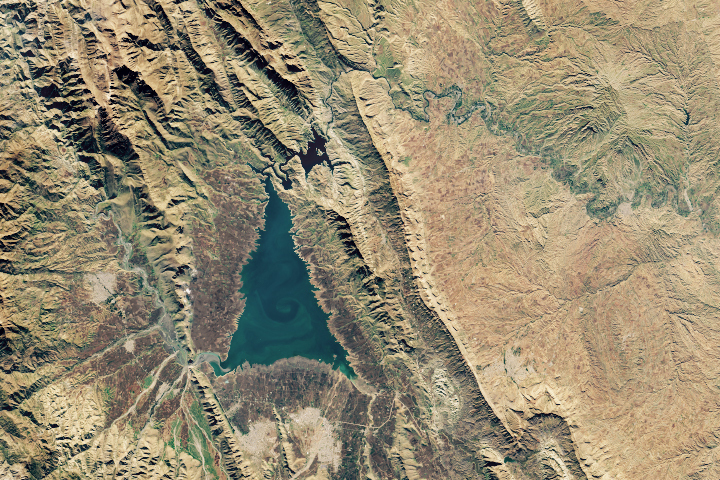 Shaped like an evergreen conifer, Lake Dukan is the largest lake in Iraqi Kurdistan. These iconic photos are not new, but their message never gets old. 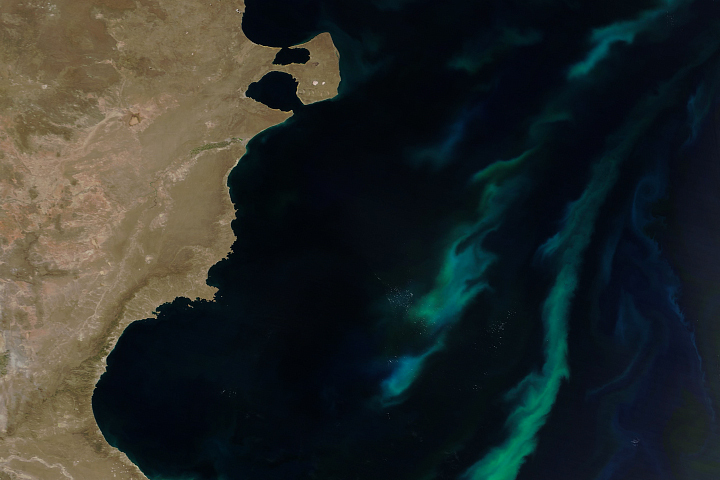 The milky green and blue phytoplankton developed where warmer, saltier coastal waters from the subtropics meet colder, fresher waters flowing from the south. 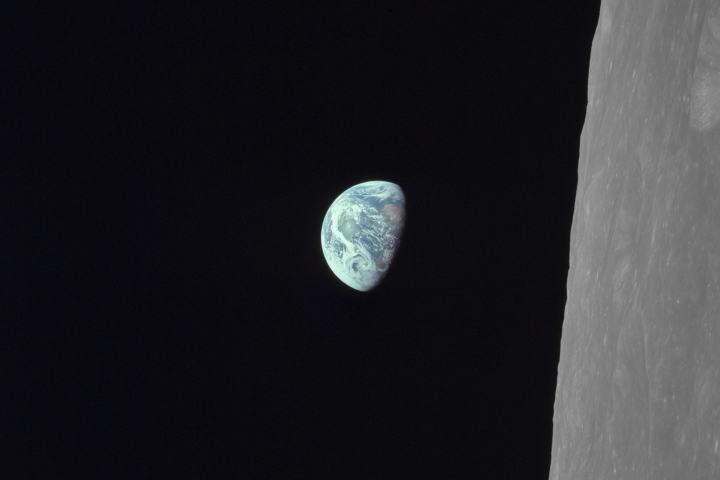 All materials courtesy of NASA's Earth Observatory. The presence of a NASA link is not a NASA endorsement of this site.